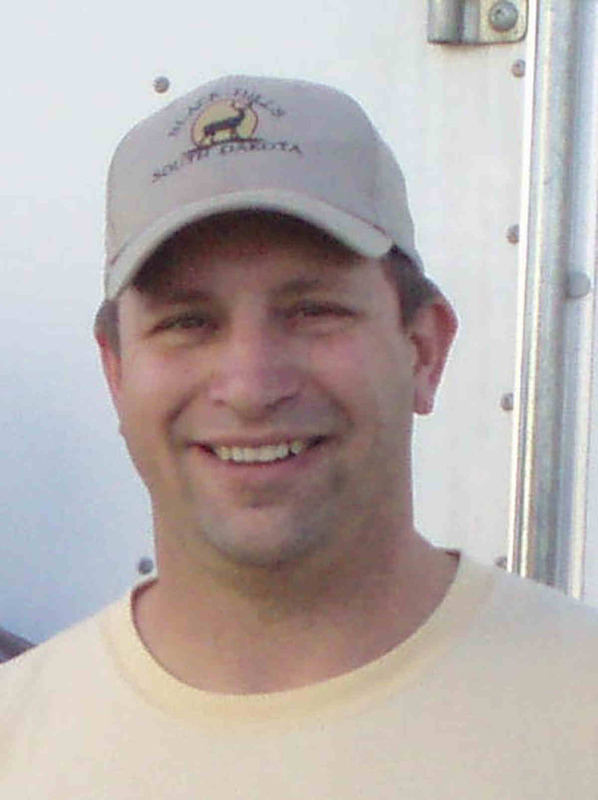 Steven J. Bongers, age 44, of Faribault died on Wednesday, April 4, 2012 at his home. He is survived by his wife Julie; three children, Declan, Mason and Abigale; his parents, Kenneth and Bonita (Wetzel) Bongers of Faribault; his grandmother, Viola Wetzel of Faribault; two siblings, Mark (and Dr. Wendy) Bongers of Nerstrand and Laura (and Mark) Burkhartzmeyer of Faribault; five nieces, Cassandra, Ashley, Mikayla, Jacquelyn and Rylie; five nephews, Big Alexander, Little Alexander, Justin, Reece and Gavin; special in-laws, Wally (and Bev) Gulbrandson, Marge Lusty, Brian (and Jen) Gulbrandson and Kia (and Tom) Woida; other relatives and friends. Services will be held at Our Savior’s Lutheran Church, Faribault on Tuesday, April 10, 2012 at 10 a.m. with the Reverend Steven Delzer, officiating. Interment will be at Oak Ridge Cemetery, Faribault. Visitation will be at the Boldt Funeral Home, Faribault on Monday, April 9, 2012 from 4 to 8 p.m. and also at the church for one hour prior to the services on Tuesday. Memorial gifts may be directed to Youth Education through NRA or College Scholarship fund for Steve & Julie's kids or donor's choice. Thanks for letting me hang out with you in high school. As a loner I didn't have many friends, but you gave me a place. You'll be missed but never forgotten. While we only saw Steve a few times at different family events, we feel we knew him through the stories we often heard from our grandchildren - Rylie, Reece and Gavin. He was a positive influence to many children and will be greatly missed. Julie and kids-you are in our prayers. We are sorry for your loss and we hope the Lord will wrap you in his arms and heal your hearts. May your memories of Steve bring you comfort now and great joy in the future. Although I know his physical pain is past and he rests now in his heavenly perch, I am still saddened by his passing. I pray for his family's spiritual healing, and hope that soon the hurt passes into warm memories of times spent with him and lessons and gifts he has passed down. He was a warm, intelligent, humorous and generous soul. I shared a number of classes with him in Jr and Sr High but have only spoken to him at one reunion since '86 - I think it speaks volumes that I can easily remember the laugh and character of the man these many years later. You certainly made your positive impact on many lives with your gifts and I am thankful for your time you spent here with us. God speed Steve! It is difficult to comprehend that Steve is no longer on this Earth. We have many fond memories with Steve and Julie while they lived in Baytown. The memories range from playing cards, cooking out, playing sand volleyball, traveling, driving our convertible mustangs different places. The thing I cherished the most was just hanging out at each other's house and just laughing and visiting. Steve you will be missed and our thoughts and prayers go out to Julie and the kids. Favorite memories: trip to Yellowstone in 2009 orchestrated by Steve, sitting around the fire at the cabin listening to Mark and Steve reminisce about their high school exploits (right in front of Bonnie! And she laughed! ), pre-kid hikes and bike rides, post-kid trips to the Dells. Steve, we'll always miss your can-do/will-do-right-now attitude! Julie words can not express our sorrow for you and Declan, Mason and Abigale. Our memories of Steve are a warm bond fire in your back yard with laughs and friendship. Watching Declan and talking with Steve before he left for work. He always made me laugh. Sharing our sons first year together. Caring for D, Phinehas and Zane all precious memories to my heart. Enjoying the memories of your time and friendship while you were in Alaska. Many thoughts and prayers for your family in the weeks, months and years ahead. Your Alaskan friends, Phil,Crystal,Phinehas and Smith family. steve and my son mike hung around together since they both worked at Nerstrand park, about 1984. they went to a lot of parties together. i remember driving "Bongers" home when he shouldn't have been driving! i enjoyed his optimistic attitude. he had such a great laugh. my kitchen seemed small when he was in it! i'm sorry he is gone from this earth. so many will miss him. kids, remember you had a great dad! best wishes to the family. Julie, Declan, Mason, and Abigale - Steve was taken far too soon. While there is never a good time to lose a loved one, may the promise of this easter season be of comfort to you. We know that Steve is no longer in a place of pain and is now at peace. You are in our thoughts during the difficult days and weeks ahead. Julie and all. My heart and prayers go out to you. Our deepest sympathy to all of your family. Steve will be missed greatly, especially his laughter and his engaging personality. I remember many good times with Steve and your family at LeRoy-Ostrander and our prayers are with all of you. Julie, kids and family, We are deeply saddened by your loss. Having been your neighbors at the cabin for so many years we know together your family will navigate through the difficult times ahead. Support from friends and your faith in God will help you move forward and heal. May the peace of God be with each of you. Steve was a good man and a good friend. Lisa and I had a lot of fun with Steve and Julie in Anchorage. We remember lots of snowmachine trips, movie nights and Oriana and Declan's first year. Good memories. I will always remember Steve for his laughter, he always could make you smile, he will be missed terribly by all who knew him. We are so very sorry for you loss, it is a shame that the good always die young, he will be remembered in our hearts forever. Love, Traci, Mark and the boys. To the family of Steve...I work at the high school and may I just say what a joy it was to work with such a wonderful person. Steve always made me smile and his dynamic presence was always evident especially in the hallways. He had such a way with the students and you could tell by the way they responded to him..I feel priviledged that I knew him and I will never forget him..Take care and God will help you through this.